Today music legend Willie Dixon would have been 100 years old… When I close my eyes and think of some of the tunes Dixon penned, the music plays like a soundtrack to my youth. Back then I was too young to realize the significance of what I was listening to. All I know is the music motivated me in a way I could never really describe. Many years ago while doing some soul searching, I wrote an article called Willie Dixon: I Am The Blues. The piece has a brief bio on Dixon and further information regarding that 1970 release – along with some reflections from my past. Born July 1, 1915 in Vicksburg, Mississippi, Dixon became an admirer of the blues at an early age. He would write poetry and adapt them into songs. Dixon learned how to sing harmony from local carpenter Leo Phelps. And appeared regularly with Phelp’s gospel group The Jubilee Singers on Vicksburg’s WQBC radio station. In 1932 at the age of seventeen, Dixon left for Chicago. He took up boxing, and because of his large 250 pound stature, was effective enough to win the Illinois State Golden Gloves Heavyweight Championship in 1937. Dixon turned pro briefly, and even worked as Joe Louis’ sparring partner. But that ended after getting into a money quarrel with his manager. After composing and playing in many local groups, Dixon signed to Chess Records as a recording artist. Eventually, performing less and getting more involved with the label as a producer, talent scout, session artist and staff composer. His time with Chess was extremely productive and the output of songs during his tenure was significant. Some of the younger blues and rock artists today continue to either record or be influenced by Willie Dixon’s impressive line-up of catchy finger snapping tenacious grooves. Dixon is irrefutably one of music’s most essential and influential song-writers; penning more than 500 songs during his time. 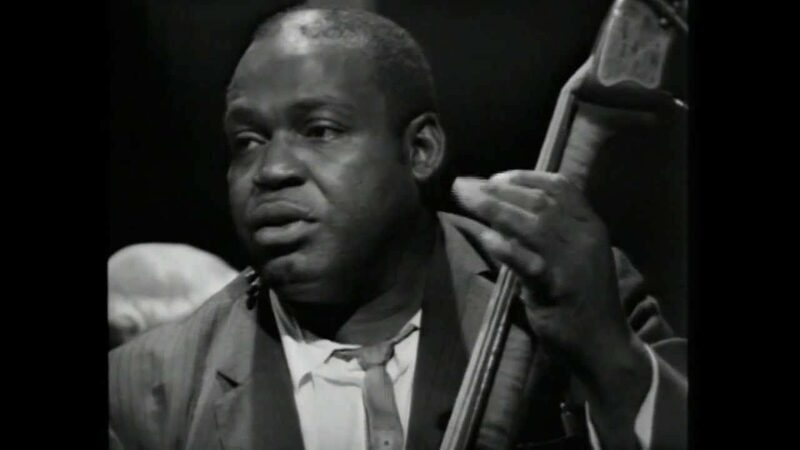 Later in life, Willie Dixon became a conscientious representative for the blues and a vocal supporter for his peers founding the Blues Heaven Foundation. The organization works to preserve the genre’s legacy and protect copyrights and royalties for blues musicians who were exploited in the past. The foundation’s current vice president is Willie’s grandson Alex Dixon – who is hosting a centennial musical extravaganza in his grandfather’s name for his 100th birthday. You can click here for further information on that event. The following is just a small list of what many agree are some of the most influential songs of Dixon’s career. I’ve included all these songs in the video playlist below for your listening/viewing pleasure. What are your thoughts? Is there anything from this top ten (in no particular order) that you would add or replace? Please share your thoughts or 100th birthday wishes regarding Willie Dixon in the comment area below.